Originally found in sub-Saharan Africa, hive beetles have spread to the rest of the beekeeping world in the last decade and have become a huge menace to beekeepers. The beetles ruin honeycomb, stored honey and pollen used by bees to feed brood. The Mann Lake DC830 GardStar for Hive Beetles solution promises to keep your beehives free from the destruction and distraction of these hive beetles. It can be used alongside other integrated pest management and control methods in beekeeping. The solution is made by Mann Lake which has many beekeeping supplies in the market and is rated as one of the best beekeeping suppliers. In this review, we will go in depth in assessing its effectiveness. Let’s check it out. Hive beetles tend to pupate in the ground near beehive entrances. They are today considered one of the most invasive species in beekeeping and cause significant losses. The larvae of hive beetles tunnels through honeycomb and defecates in honey. This causes discoloration of honey and its eventual fermentation in the honeycomb. Honeybee colony collapse is also often seen in major hive beetle infestations. 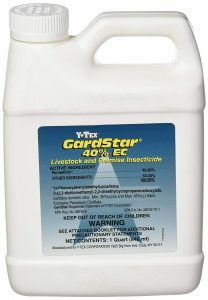 The Mann Lake DC830 GardStar for Hive Beetles is a drenching liquid for use against these pests. The solution kills the beetles both in the pupae stage and in the adult stage as they emerge from their cocoons. The container for the treatment is well labeled and attractive. It is not too big and fits into most shelves used by beekeepers to store their beekeeping tools, materials and equipment. The treatment is easy to apply and comes in a 1-quart container and requires dilution before application. The recommended mixing rate is 23 gallons of mixture from every 1-quart bottle you purchase. A single gallon of the mixture is enough to treat up to 6 beehives in your apiary. This allows you to treat not less than 130 beehives per every 1-quart bottle of solution you have. 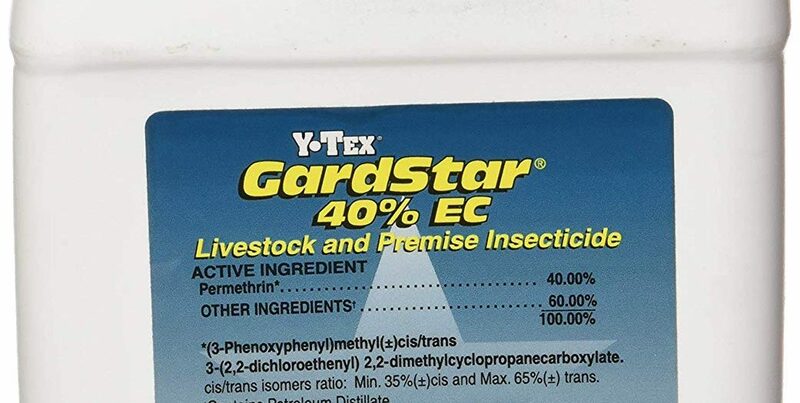 After mixing the Mann Lake DC830 GardStar for Hive Beetles treatment with water to the correct mixture ratio, use suitable equipment to sprinkle or spray it in front of beehive entrances. You may use a watering can to prevent the spray of the treatment from entering beehives. The area to cover with the treatment is between 18 and 24 inches in front of the entrances. Note well that the solution should NOT be used inside the beehive. A single treatment lasts 2 to 4 months depending on the presence of rainfall and its intensity. An instructions booklet on the bottle containing this hive beetle treatment is a great aid for beekeepers. It outlines the various uses of the hive beetle treatment and gives mixing instructions too. Follow the instructions on the booklet carefully for best results when using this solution. It will better ensure that you get the best results from the treatment and an apiary free of hive beetles. This hive beetle treatment is manufactured by a reputable beekeeping products supplier. It assures beekeepers that they are working with a quality product. Additionally, beekeepers using this hive beetle treatment are sure it is safe for their bees and for humans when used well. A small amount of the solution gives a large amount of mixture once you mix it with water. This saves you money and allows you to treat a large amount of beehives at a time. Beekeepers with large apiaries are especially suited by this hive beetle treatment. An instructions and mixing guide in the form of a booklet is included with your purchase of this hive beetle treatment. Usage is thereby easy for both beginners and professional beekeepers. When you do not use up all the treatment in one application, you can store it with no loss of effectiveness. This hive beetle treatment lasts for long when stored in a cool dry place. The container it comes in is opaque, so you do not need to find a dark place for its storage. This treatment is too much for beekeepers with small apiaries. For the beekeeper with only 1 or a few hives, the treatment might end up being discarded once its shelf life is over. Smaller amounts of the same treatment are better for purchase by small-scale and hobbyist beekeepers with small beekeeping operations. Using pollen patties is common in beekeeping. The patties however attract hive beetles. When using this hive beetle treatment, it is best that you remove any pollen patties present in your beehives. Once treatment is over and you are sure there are no more hive beetles in the beehives, you may resume the use of pollen patties to feed your honeybee colonies. 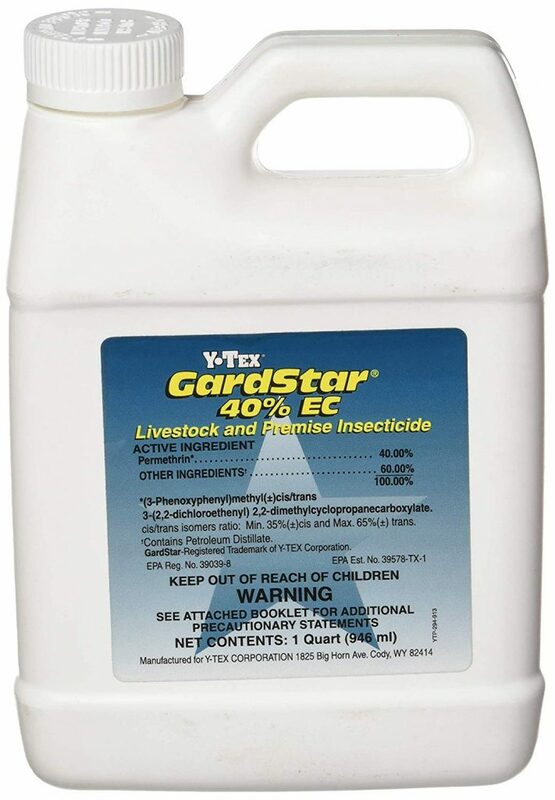 Safety of your bees and the beekeeper are important when use Mann Lake DC830 GardStar for Hive Beetles. You should take care not to spread any of the treatment in the beehive or on surfaces of the beehive that bees will come into contact with. Additionally, the beekeeper applying the treatment should avoid direct contact of their body with the treatment. This requires you to wear waterproof gloves on your hands, a face mask to prevent inhalation of the treatment and waterproof safety boots. You should also not smoke, eat or drink while applying the treatment. After applying the solution, make sure to wash your hands well. In the event that some of the treatment comes into contact with your skin or eyes, wash it off with copious amounts of water. If you accidentally swallow the treatment, seek immediate medical attention. Due to the risk posed by the treatment to humans, keep the solution in its original container, and away from the reach of children. Hive beetles often cause your honeybee colony to abandon a beehive if the infestation is heavy. An entire apiary with beehives close to each other can be decimated in a short period of time by hive beetles. Use the Mann Lake DC830 GardStar for Hive Beetles treatment to keep these pests in check. It is easy to use and effective for long periods of time. With proper application, beekeepers are assured of the proper yields they should be getting from their apiaries – free from the destructive losses caused by hive beetles. Beekeepers are assured of quality and effectiveness of this hive beetle treatment.